Note: As part of CARF’s 50th year anniversary celebration in 2016, we will be sharing snapshots of the industries in which we offer accreditation. This is part 2 of a series. What we are seeing today, for the first time in my career, is a mainstream attitude in the United States that mental health treatment should be on par and equal with that of other illnesses. This, of course, has long been advocated by providers and persons needing services in the industry itself, but now it is beginning to show up in major legislation and coverage requirements at the federal level. The two chief developments that paved the way for this national attitude are the passage of the Mental Health Parity and Addiction Equity Act (MHPAEA) in 2008, and the inclusion of mental health and addictions treatment as essential health benefits in the Affordable Care Act (ACA) in 2010. Sponsored by former congressman Patrick Kennedy, the MHPAEA and subsequent amendments aimed to end discrimination in how different disability treatments were covered by insurance. The Act required group health plans to offer comparable benefits (deductibles, co-pays, visit limits, etc.) for mental health and substance use disorder treatments to what they offer for physical illness treatments. The ACA reiterated this requirement for coverage parity in defining essential health benefits that must be covered. The ACA also expanded the requirement into prevention and intervention services. The MHPAEA and ACA are game changers because the diversity and quality of services available represent only what providers can be confident they will be paid for. In a perfect world, the result of these statutes would have been an immediate expansion of behavioral health programming as providers felt more certain they would be reimbursed for these services in the same way they are for other services. However, change has been slow, and there is still clearly a lack of adequate capacity in the system to treat all the persons needing care for addictions and psychiatric illnesses. One large barrier to seeing the quick growth that we hoped for is that the new ACA requirements (for coverage without underwriting) caused concerns for the insurance companies that are unsure what the eventual costs will be. Although there are excellent data showing the impact that co-occurring illness and behavioral health and/or substance use disorders have on the increasing cost of care, many providers lack performance data indicating the value their services have on the persons served or the population. A major reason for this is that current funding systems have long required organizations to gather data that do not help in articulating value, but rather account for spending and who was served. To help address this concern, it is critical that organizations in behavioral health now make a concerted effort to define measures of performance that are standard and comparable to the rest of the health system so that they can articulate their value externally. CARF has excellent standards to help organizations design and implement systems to measure performance, but the field still needs to establish performance measures that are more uniformly accepted in order to prove the value of individual provider organizations (and the field as a whole) to the rest of healthcare. Without investment in the delivery system, true parity is a long way away. We must utilize this historic opportunity to move forward with greater capacity and efforts toward integrating mental and behavioral healthcare with primary healthcare. The community behavioral healthcare field is really only a couple of years older than CARF, and should be congratulated on the amazing progress made in the last half-century. We are in a period where I predict we will see tremendous advancement of the field over the next decade or so that will revolutionize care. These are both challenging and exciting times to be a part of this industry! 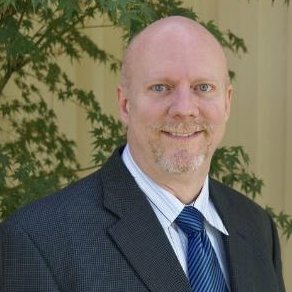 Michael Johnson has been the managing director of CARF’s Behavioral Health accreditation area since 2013. A certified addictions professional, Michael has more than 30 years of experience as a clinician, manager, and executive working in mental health, substance abuse, and intellectual disabilities. He was a CARF surveyor for 16 years and holds a master's degree in communications from the University of Central Florida.